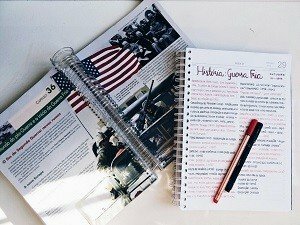 Writing a book review is one of the most typical assignments that every student is assigned with, especially if he’s engaged in historical disciplines. As a rule, an undergraduate student must provide a book review that meets two goals. The first one is about laying out the argument of the author, while the second one includes the critique of the historical argument. It’s important to keep in mind that history book review is not a report. What you’re required to do is to sum up the historical content, as well as to focus on the historical argument provided by the author and on how effectively he has supported it with historical evidence. But before that, find out what other books, articles are written by the author. Are those articles or books somehow related to the work you’re writing your review on? Has the author won any kind of awards for his work? These and many other relevant questions will help you get a better understanding of the author’s argument. Use a few sentences to talk about geographical scope, the time frames, the most important events and typical groups of people, who are included. Make sure to talk about the major theses of the book, the evidence the author uses to support his arguments, as well as the reasons why he has chosen particular time frames for the narrative. Are the book chapters organized thematically and chronologically? Are the thoughts and facts presented from specific to general or vice versa? Does the structure of the book helps to get the point of the work or distracts from it? When introducing the topic and the historical period of the book, do not forget to mention the author as well. A lot of students start right with the review thing and forget to even name the author of the book. Make certain to tell your readers what genre of history the book represents, as well as what approach the author of the work used. Plagiarism is a crime and is never tolerated by the professors. In case you need to use some content from the book you’re reviewing, make sure to use quotation marks in order to point out that you’re not the author of the certain extract of the text. What is more, if you decide to refer to the other book review in order to compose your own, remember that any text used from there must be properly cited. Make sure to approach your college tutor to ask about the proper citation style before the date of submission. We hope that our guidelines will become useful when you’ll surf the Internet in the search of tips on how to write a history book review. Learn well and stay cool.